Home › FAQ › How do I log in to my profile? How do I log in to my profile? 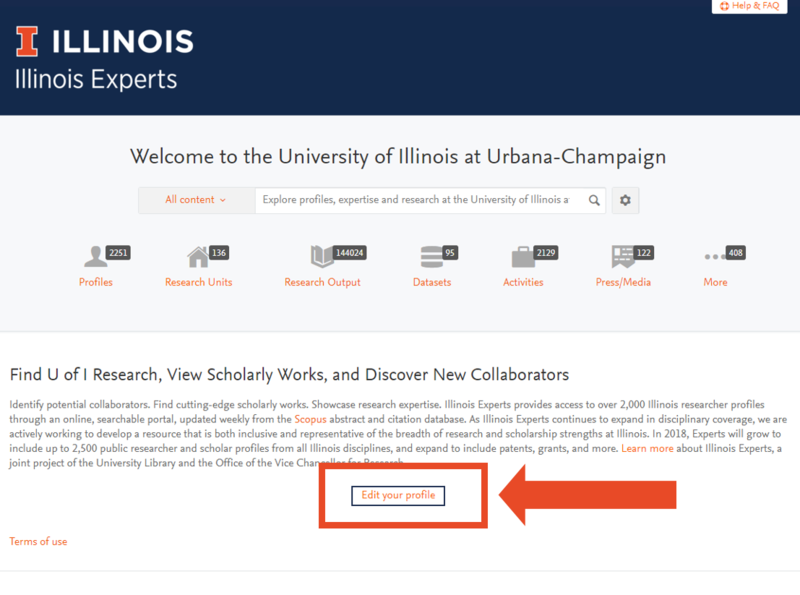 Go to experts.illinois.edu and find the “Edit your profile” link. Click the link. Your log-in information is your NetID. ← How do I log in to my profile? We are happy to assist in ensuring that the information in your profile is as current and accurate as possible. Please take a moment to tell us about the profile updates you are requesting. We are available to provide an informative discussion on Illinois Experts, including project history, current state of the system, and future plans.